Baby it’s cold outside! I hope my friends who are experiencing arctic cold temps are safe and staying warm. I have been playing around with our Electric pressure cooker which I guess is an Instant pot too. 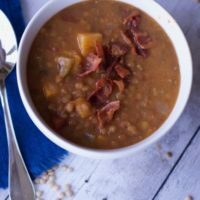 I was able to make this Instant Pot Lentil Soup with Sweet Potatoes and Bacon in less than 30 minutes and only using one pan. This is the first time I have made an An Instant Pot Soup. Bean Soups are made so quickly in an instant pot it is a no brainer. 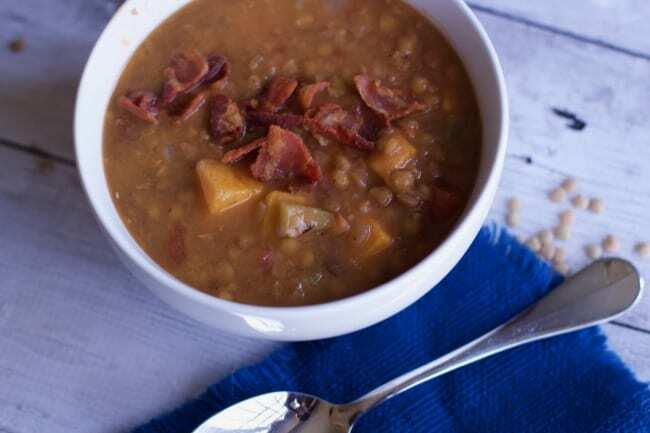 I can’t wait for you to try this Lentil soup filled with tender sweet potato chunks, fire-roasted tomatoes, and bacon. Make it in under 30 mintues to enjoy that day or store for up to 3 days. I know if you used a dutch oven you would only use one pan as well but it would take twice as long for the lentils to cook and you need to be near by to stir the soup. This soup recipe made a large portion that I ate off of for the week. Full of veggies and protein it hits the spot on a cold winters’ day. I also use low sodium broth. Saute your bacon right inside the instant pot. Something you can’t do in a crock pot. You can use the saute’ button or for our pressure cooker the meat feature. Take out the bacon and with some of the reserved bacon grease, saute’ your veggies. I always use more veggies than what a recipe advises as I love robust soups. 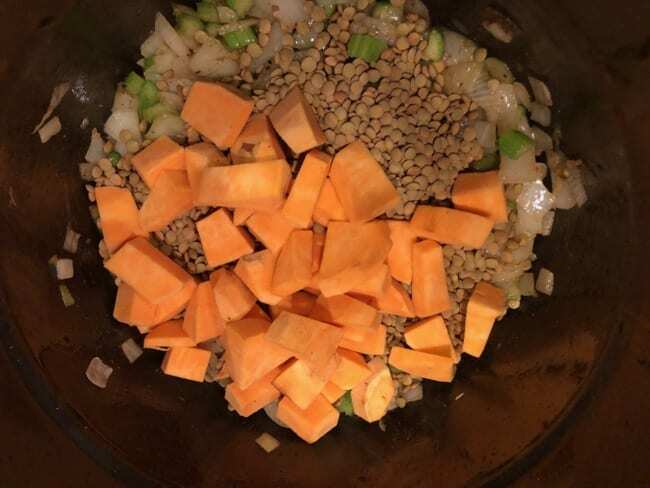 Add the lentils and the sweet potato and set your Instant pot to do it’s magic. 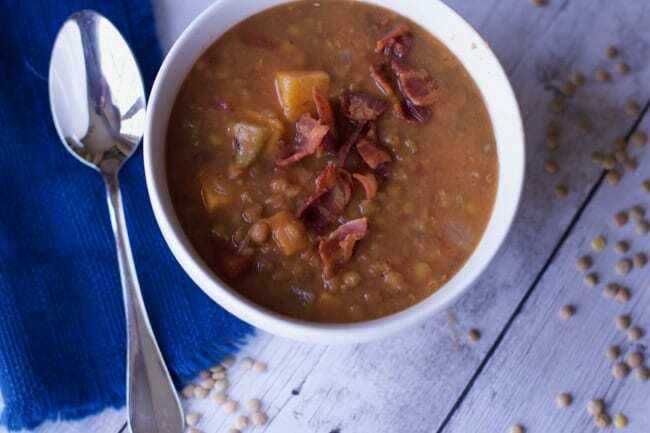 Lentils cook quickly and don’t have to be soaked overnight which makes this dish a super quick, and even a last weeknight minute meal idea. 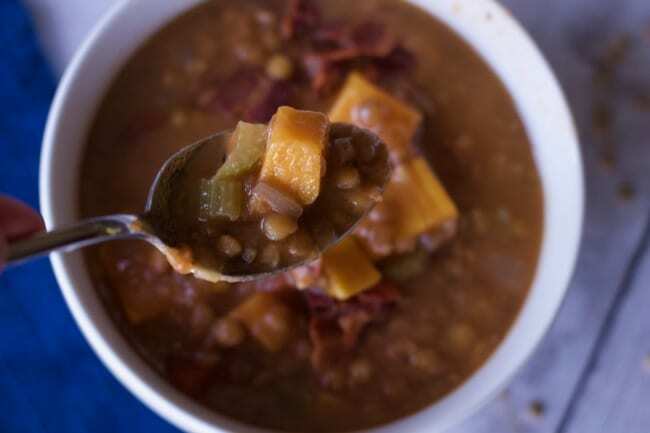 Ta da, the soup is done and just top with your crunchy bacon for a great flavor profile. Keep the instapot on the saute’ feature with the top off and cook off some of the liquid. 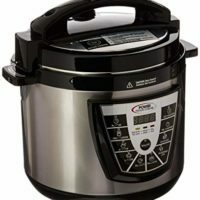 I plan on exploring more and more with our Electric Pressure Cooker and varying the ways we can treat it like an Instant pot. 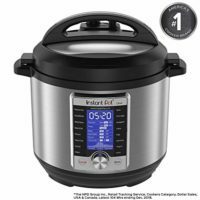 I don’t like that the interior is non-stick so if I get addicted to it, I may have to buy a true Instant Pot. 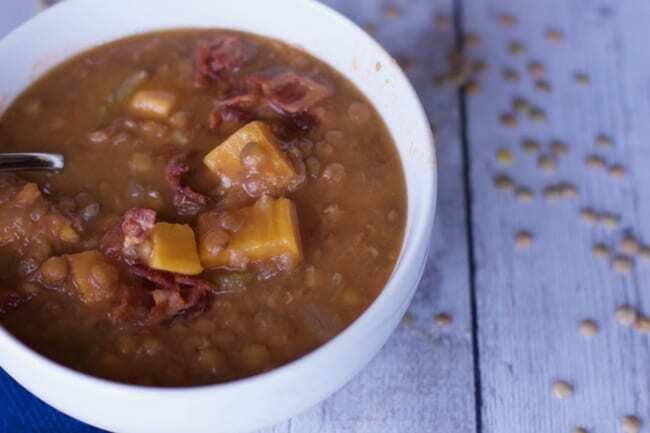 Grab a warm bowl of this Instant Pot Lentil Soup and enjoy all the different flavors that fill your belly with warm goodness. Find out all the surprising things you can make with a rice cooker to0. 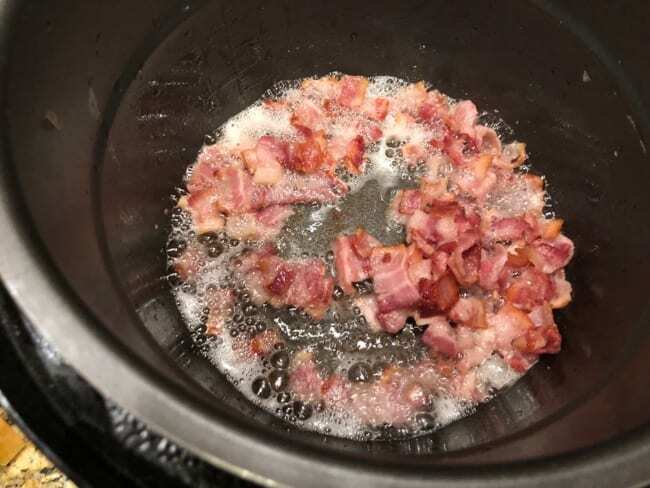 Step 1 Set Instant Pot on Meat or Sauce and Cook bacon pieces until crisp, about 10 minutes. Drain on paper towels, and set aside. Remove and discard all but 2 Tbsp. drippings from Dutch oven. 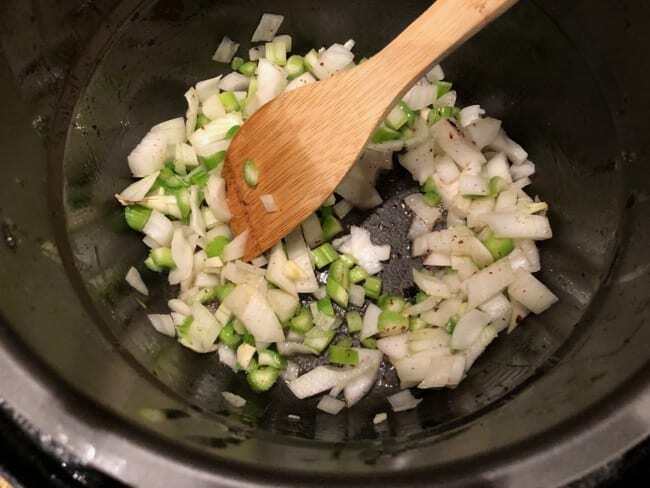 Add onion, celery, and garlic to Instant Pot. Continue to Cook stirring often, until softened, about 5 minutes. Add cumin, and cook, stirring constantly, until toasted, about 1 minute. Stir in sweet potato, lentils, broth, tomatoes, salt, and pepper. Spoon soup evenly into 6 bowls. Top with reserved bacon pieces, and sprinkle with parsley. Be sure to pin this Instant Pot Recipe for a cold day you are looking for a nutritious and flavorful soup recipe.